A team of international students Kiran Subbarayadu and Aishwarya Valarkalai Chandrakalatharan, who created a nutritious buckwheat cocktail were among the winners at the annual innovation fair “Technorama 2018”. 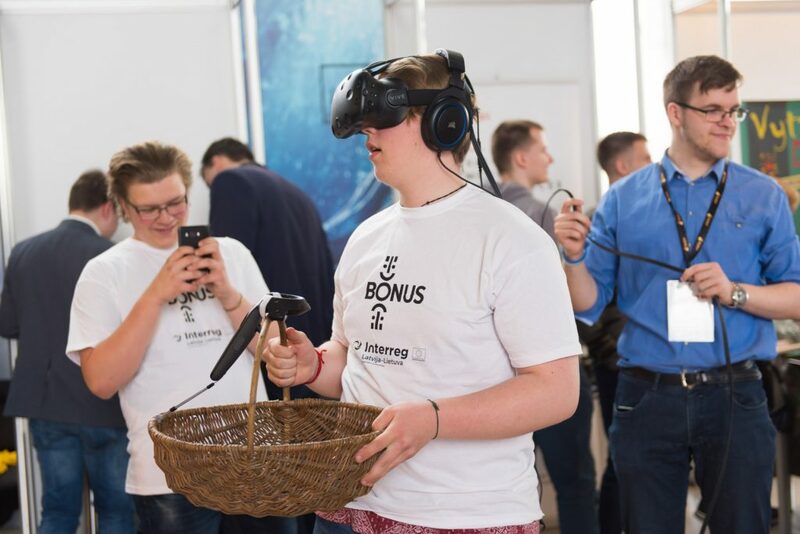 The ball, which helps to diminish hand tremor, heated gloves, virtual reality therapy for overcoming stage fright are only a few inventions, which impressed visitors and board of experts of “Technorama”. 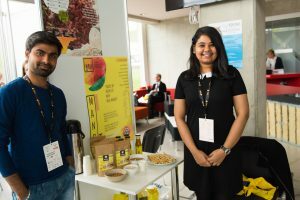 According to Kiran Subbarayadu, master’s student at Kaunas University of Technology (KTU) Faculty of Chemical Technology, “Buckwheat Energy Mix”, nutritious cocktail containing buckwheat and several dry fruits is a product to improve public health. 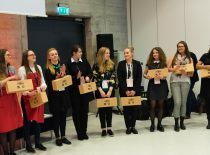 The cocktail possesses great amount of micronutrients which are the building blocks of our immune system and aims to add nutritious value to the everyday diet of contemporary people. 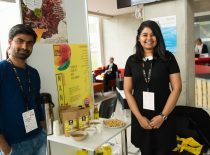 “Buckwheat Energy Mix”, nutritious cocktail containing buckwheat and several dry fruits is a product to improve public health. 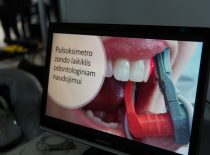 “Most people in today’s society lack good immunity and are prone to various diseases. 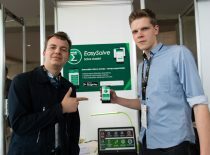 Our product is very nutritious without any additives, and it improves health eventually. 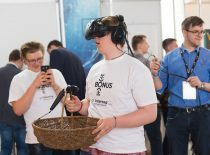 “Technorama” visitors really appreciated our cocktail; the funniest thing was that they assumed it was already being sold and asked in which supermarkets to buy it!”, says Kiran. Kiran Subbarayadu and Aishwarya Valarkalai Chandrakalatharan for their innovation were awarded 500 EUR by the company Ekofrisa. 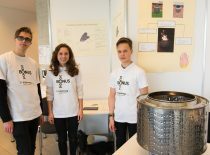 This year’s “Technorama’s” special focus were food technologies. 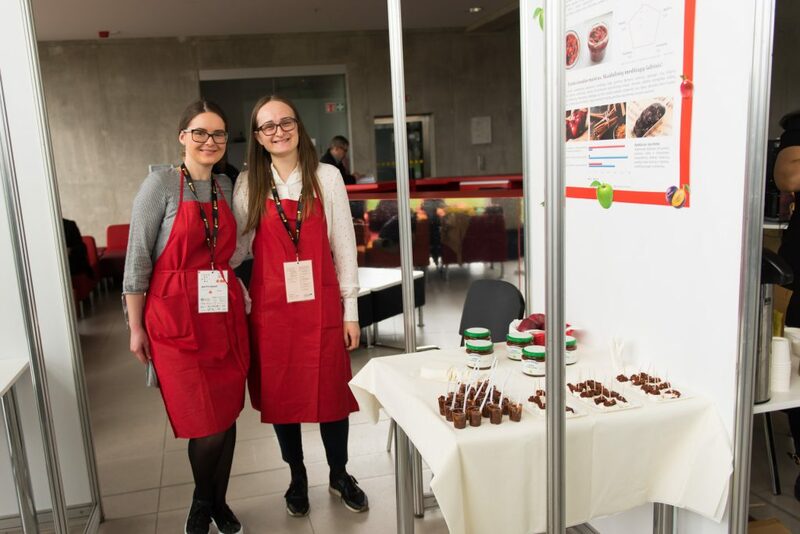 The sponsors of the event, companies Vikonda and Ekofrisa have presented special tasks for a group of food technology students supervised by Assoc Prof Loreta Bašinskienė. 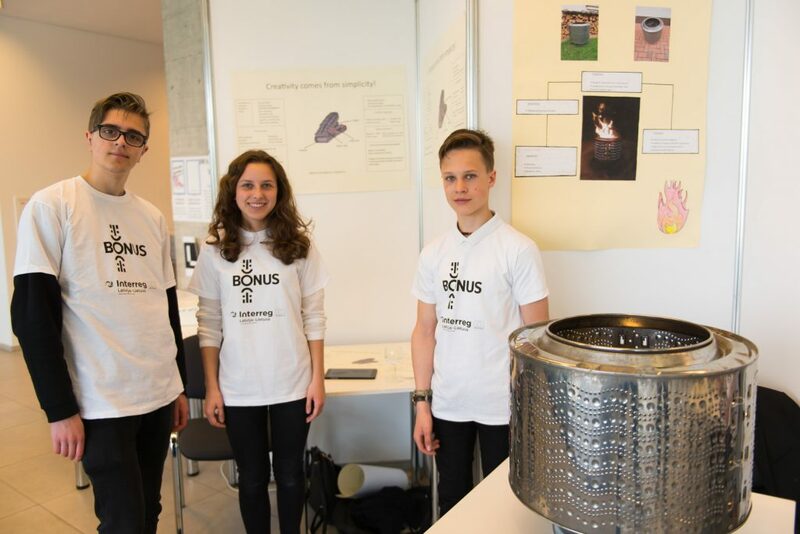 “I am very grateful for KTU and Ekofrisa for this opportunity, and we have already had an offer from the company to work further on the development of similar products. 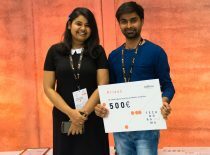 That’s how we are planning to use the award money”, says Kiran Subbarayadu, KTU student from India. 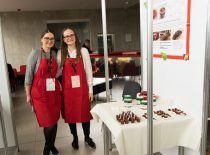 Currently in his first year of master’s studies in Food Science and Safety he plans to work in the field of developing healthy products in order to improve public health. 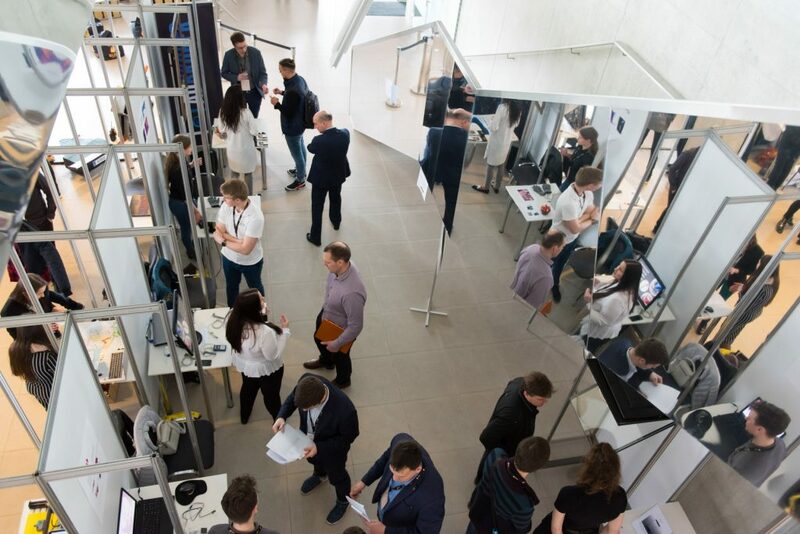 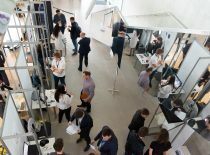 65 teams have introduced their innovations in chemical technologies, energy and electronics, mechanics, design, information technologies, health science and interdisciplinary fields in this year’s “Technorama”. 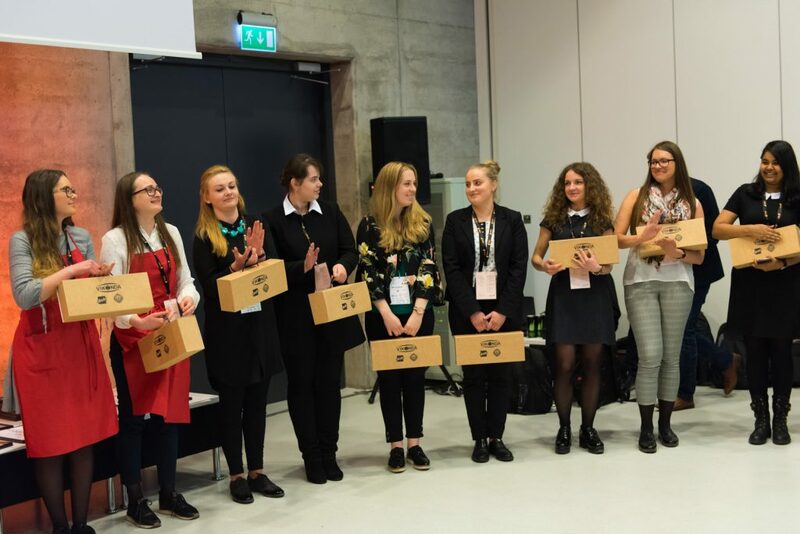 The record amount, 10 thousand euros of prize fund was divided among 20 teams whose solutions were recognised as the most innovative by the board of experts. 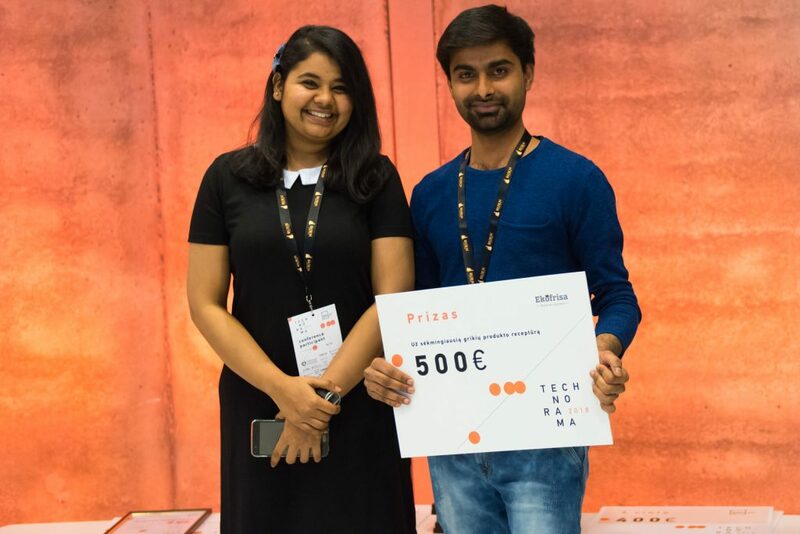 The main prize, Rector’s Award of 1,000 euros was won by the Fidens team who have introduced a mobile app ViliMap, which can digitalise and objectively evaluate the essential tremor, condition, which can lead to Parkinson’s disease. 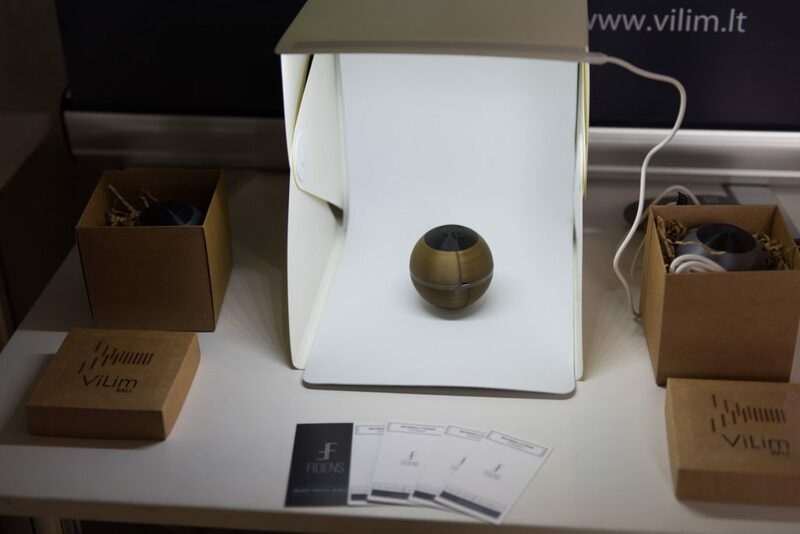 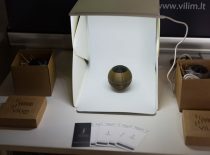 The team’s other invention, VilimBall, a ball, which helps to diminish shaky hands condition, was awarded 1,000 euros for the most successful business solution by consultancy company Civitta. 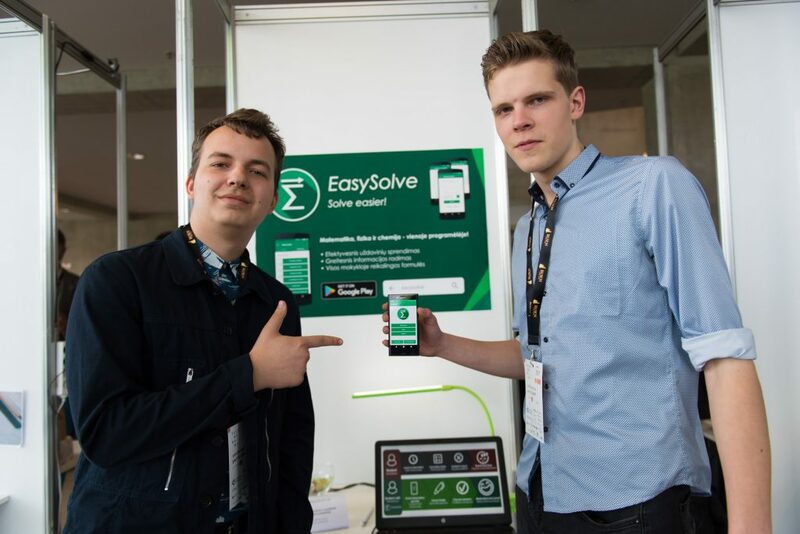 The second prize, 600 euros were allocated to the KTU student Lukas Navickas, who together with game developers SneakyBox has created Virtual Reality therapy for people with public speaking phobia. 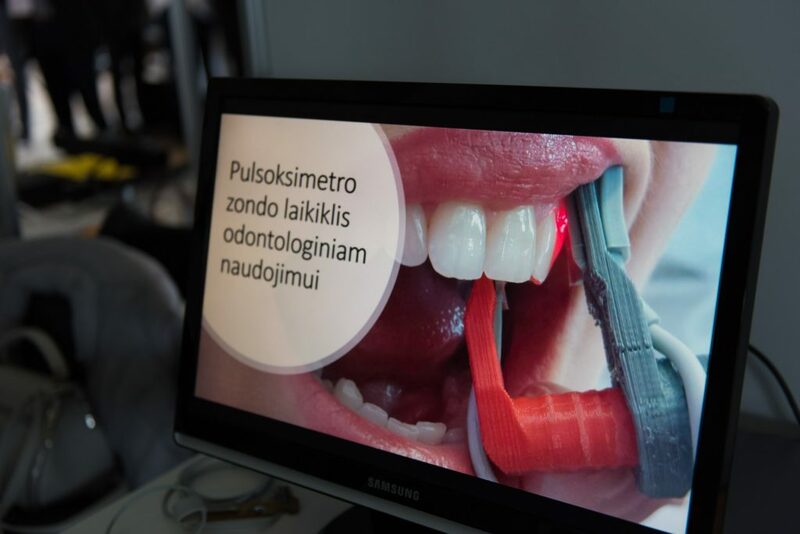 The special software transfers the speaker into the room full of people, and he or she can practice their speech in front of the audience. 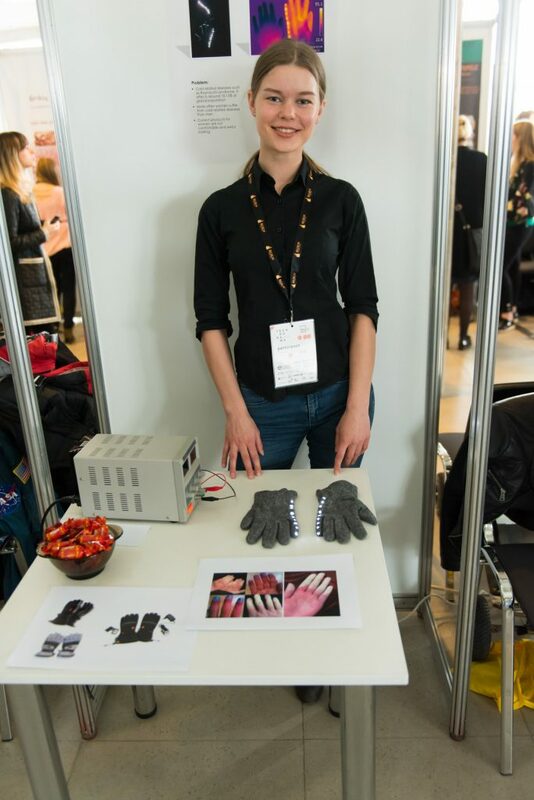 The third place and 400 euros’ prize was awarded to Neringa Gogolinskaitė ir Modesta Mikštaitė who have created stylish gloves, heated by a coal strap, which could be very beneficial for people suffering from cold hands due to poor circulation.